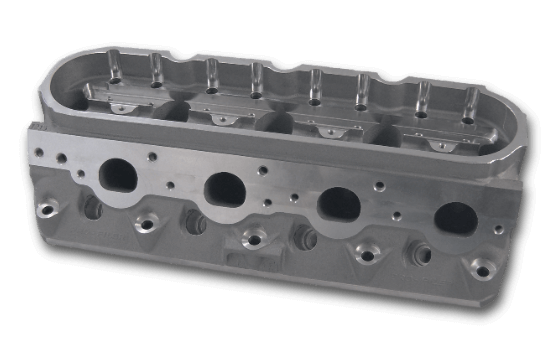 Featuring a "no stall" port, the Pro-Filer LS Series Cylinder Head takes the airflow into uncharted territory. As we developed this head, we took the constraints of the factory design away to give you a more versatile casting so that your performance needs and desires could be met. Offered as a 215cc PRECISION as cast intake port, our port design provides positive airflow at .900 lift! Pro-Filer has significantly improved the rocker stand area to provide more reliability for your valve train. This upgrade allows you to increase your rpm and power while still using stock components. 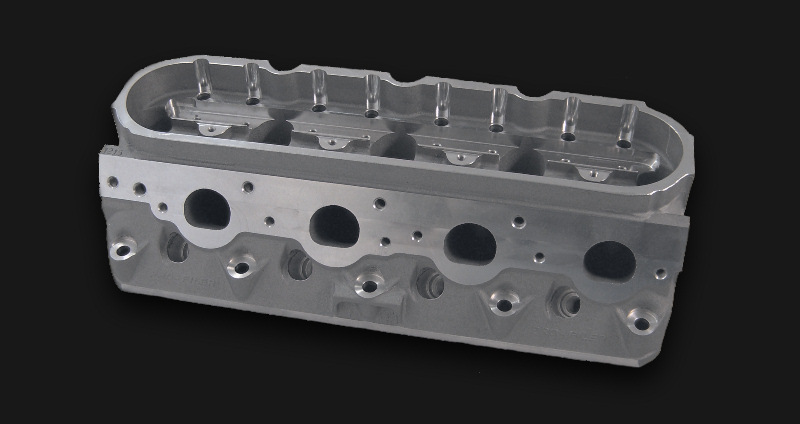 It also features a 1/2" raised valve cover rail. By choosing the Pro-Filer LS Series head you are sure to bring your engine to life. Available with As Cast 215cc Intake Ports and 58cc Chambers. Options include 11/32 or 8mm Valve Guides, 2.02/1.60 or 2.05/1.60 Valve Job and regular waterjackets or solid head casting. Intake Valve Diameter: Intake - 2.020"-2.055"
Pro Filer Small Block Chevy LS1 with 210cc Intake Runner, 2.08 Intake Valves and 1.60 exhaust valves. 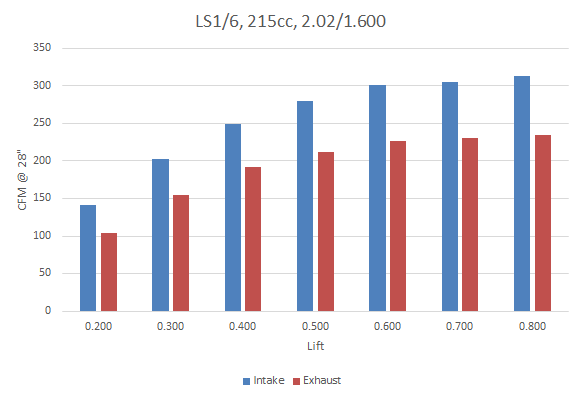 Flow data based on Cylinder #1 intake and exhaust ports. Flow measured at 28" of depression.